Major social and economic progress has been taking place in Myanmar over the last two years, as the country opens up its economy. Mobile licenses have recently been awarded which are expected to bring considerable socio-economic benefits to the country and its people. Myanmar will experience increased network rollout activity as Ericsson (NASDAQ: ERIC) participates in the development of Telenor's mobile network in the country. Ericsson today announced that it has been awarded a 5-year contract for multivendor managed services to support Telenor's nationwide network rollout. Late last year, Telenor also awarded Ericsson with a frame agreement to supply radio-access network (RAN) and associated services for a significant portion of Telenor's network in the country. Telenor's network in Myanmar is expected to cover 90 percent of the country's population of more than 60 million in five years. It will be a multi-standard network comprising 2G and 3G to provide customers with both excellent voice quality and high-speed data connectivity. Ericsson's multi-standard network solution will be used in the deployment, along with 2G and 3G equipment that can be upgraded for future requirements. With the multi-standard network solution, Ericsson enables operators to minimize the costs of operating a RAN. The multi-standard network combines GSM/EDGE, WCDMA/HSPA, LTE, IP-based transport systems and its common Operations Support Systems in a fully optimized RAN. This provides flexibility for the network to be tailored to the traffic profile in different parts of the country, and to integrate new spectrum bands as they become available. In preparation for the network deployment, Ericsson announced that local hiring will continue over the next few months, and that investments in training and development have taken place over recent months for those already on board. In addition, Ericsson will be drawing on specialist expertise from similar deployments elsewhere in the world. Petter Furberg, CEO of Telenor Myanmar, says: "We are pleased to add Ericsson to the group of global partners we will be working with as we develop the Telenor Myanmar telecommunications network. This is a historic project for Myanmar and for Telenor, and strong partners like Ericsson will be critical to its success. Jan Wassenius, Country Manager of Ericsson Myanmar, says: "Our proven experience in building networks in countries with diverse geographical conditions gives us the confidence we can create a robust infrastructure for Telenor that will give Myanmar citizens a rewarding mobile experience. We hope the deployment of this telecommunications infrastructure will have an enormous positive impact on the economy of the country and on the lives of its citizens. 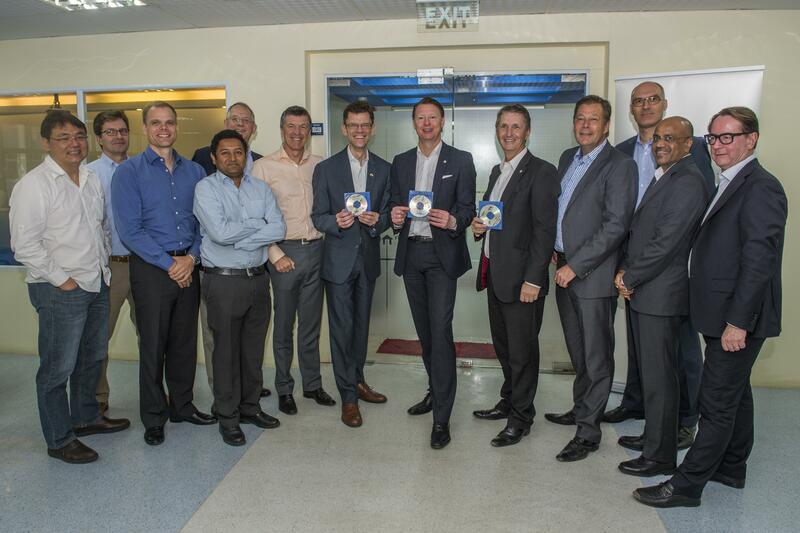 "Our Managed Services contract with Telenor in Myanmar is an important milestone for us in the region. We will draw on our years of experience in managing multi-vendor network environments to ensure that network complexity is well managed for Telenor, so they can in turn focus on their customers in the country." In 2012, Ericsson commissioned a study to assess the potential economic impact of mobile communications in Myanmar. The study estimates that the total economic impact of the mobile sector in the country will be between 1.5 and 9 percent of GDP over the first three years after licenses are issued. The potential impact of mobile communications on employment was also assessed. It is estimated that the mobile communications industry will employ approximately 66,000 full time employees in Myanmar, with an additional 24,000 full time jobs estimated to be created in the wider economy as a result of interactions with mobile network operators. 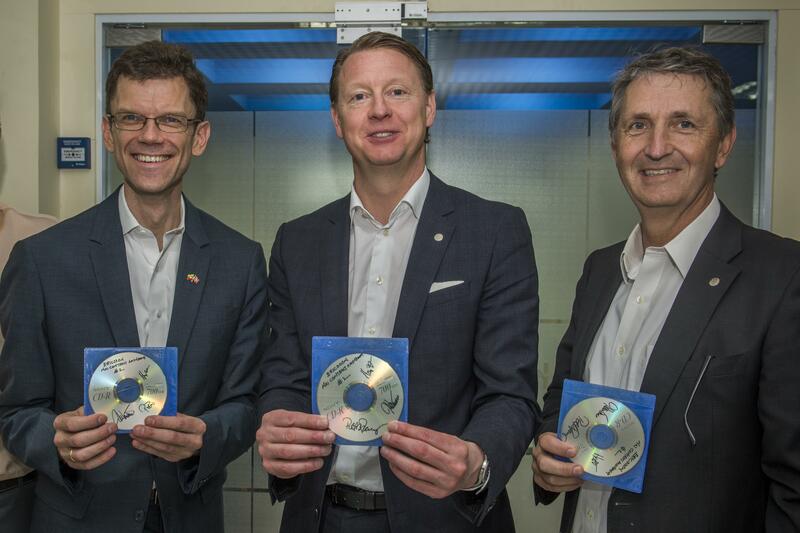 Pictured: Petter Furberg, CEO of Telenor Myanmar; Hans Vestberg, Ericsson President and CEO; and Jan Wassenius, Ericsson Country Manager for Myanmar and executives from Ericsson and Telenor Myanmar.